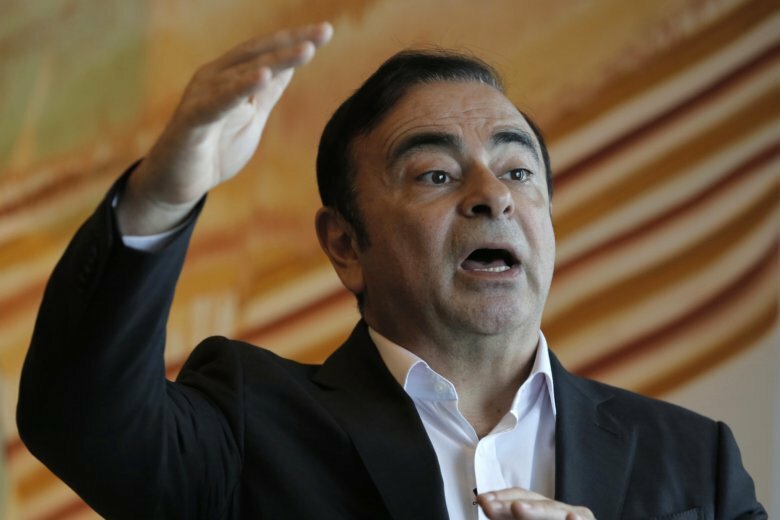 TOKYO (AP) — The arrest of Nissan chairman Carlos Ghosn could extinguish any remaining hopes for a merger with key shareholder Renault, which the Japanese company’s CEO has publicly opposed. But Nissan CEO Hiroto Saikawa has opposed such a move, which would see a Japanese corporate icon come under foreign control. And with the company’s board gathering Thursday to decide on ousting Ghosn for alleged financial misconduct, it appears the possibility of a merger may be shelved for good. Renault owns 43 percent of Nissan after it helped save the company two decades ago and turned it around under Ghosn’s leadership. Nissan owns 15 percent of Renault. Analysts say the companies are likely to continue their alliance. Besides the financial ties through the share ownership, they share technology, like the basic parts on which vehicles are built, as well as parts purchases. “You can’t go back on it that easily,” said Masahiro Akita, auto analyst with Credit Suisse. That was clear in the share price of Renault, which Warburton says would have benefited from a Nissan merger. It tanked over 8 percent on Monday when news broke of Ghosn’s arrest and has not fully recovered. Renault’s board also requested that Nissan share details of its internal investigation into Ghosn, which the company says was sparked by a whistleblower. Saikawa denounced Ghosn and Kelly as “the masterminds,” and made clear he thought they should be removed at Nissan’s board meeting Thursday. In 2016, he became chairman of Mitsubishi Motors Corp. after Nissan took it into the alliance. Ghosn spearheaded Nissan’s lead in the industry in electric cars, with the Nissan Leaf the best-selling electric car.